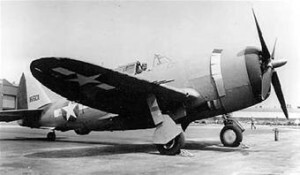 On November 12, 1942, U.S. Army Captain Robert K. Noel, 23, was piloting a P-47C Thunderbolt, (41-6171), on a routine training flight over the Bridgeport area when according to witnesses the plane suddenly dove towards the ground and exploded on impact. Noel was from Beckley, West Virginia, and was engaged to be married to a Bridgeport woman in four days. On the day he crashed, he had gone to Bridgeport Probate Court to obtain a waver of the state’s five-day waiting period.